This release of SkillsServe includes an improvement to the Registration Rules feature of the LMS providing additional options for content management. 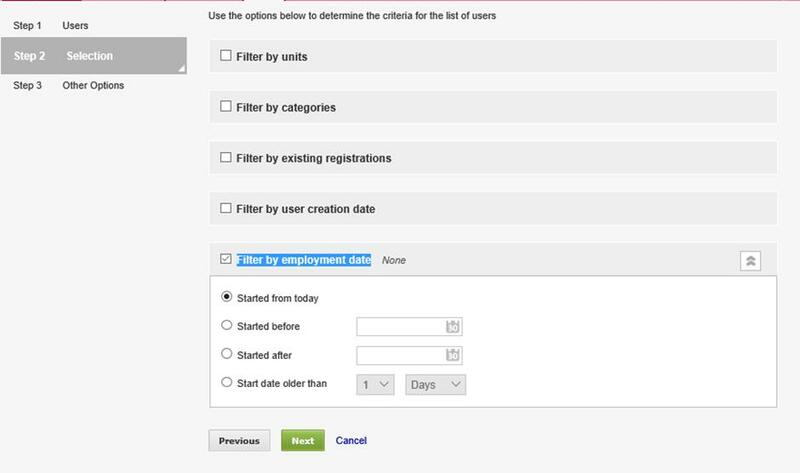 Benefits This is an additional option for the Registration Rules feature, there will now be the option to filter users by their Employment Start Date in addition to the existing option to filter by User Created Date. How it works The Employment Start Date can be populated in the User Profile area or via a data feed. Depending upon your organisation’s processes a user may be created on SkillsServe prior to their actual employment start date, or afterwards. A Registration Rule can now be set to filter users By their employment start date rather than just the date they were added to your SkillsServe site. For example, John Smith may have been added to SkillsServe as a user on the 01/12/2015 but does not start his employment until the 14/12/2015. Prior to this new feature a registration rule may have been set to register all newly created users onto an induction pathway that should be completed within 1 week. John Smith would have arrived at work to find an already overdue learning pathway. With the new feature and registration rule based upon the employment start date, John Smith will arrive at work to find an induction pathway in his activity list and will have 1 week to complete the pathway. How to get this This feature has been released and will be an option when creating registration rules. For more information about Registration Rules please see our Knowledge Base Guide. If you need further assistance then you can contact the Helpdesk at helpdesk@unicorntraining.com or on 0844 800 3316.